Yesterday we see two stories of police taking the law into their own hands of course knowing that they will never be charged for breaking it and the worst that can happen is that it gets referred to the Independent Police Complaints Commission. As we know from the Ian Tomlinson case (and many others) even when video footage exists of PC Simon Harwood committing murder no charges are brought but only a string of clever and costly cover ups, perversion of the course of justice and secret payoffs of taxpayers money to the victim’s family. Until we get a proper police watchdog in Britain the bullying and abuse of innocent members of the public will continue unabated as we saw in yesterdays stories. 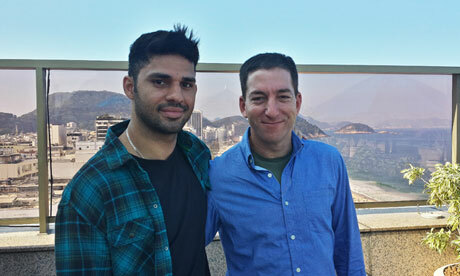 An innocent traveller, David Miranda, is arrested without suspicion and held without access to a lawyer for 9 hours this week under “section 7” of the Terrorist Act. He was repeatedly threatened by the police that if he failed to answer their questions he would be imprisoned. We all know that there is no possibility of him being a terrorist – only the brainless Met Police Chief who made the decision to arrest him cannot see that. This section is draconian and meant to be used purely and only to establish whether a person is likely to be a terror suspect. Here we see the police abusing their powers and using them for exactly what they were not intended for – a fishing expedition. We all know that this is really about preventing press freedom and bullying the brave journalists who take a stand against the intelligence agencies who are abusing their powers and our freedom. Parliament should either ensure that this law is removed or else bring in serious penalties for the officers who misuse it. To discover that over 35,000 innocent people were detained last year using this act – ie stopped and detained for any reason without access to a lawyer means we are surely one step closer to a police state. We now get the Met Police PR machine trying to justify and cover up their criminal acts. Is this what parliament intended – I don’t think so? Disturbing pictures (shown here courtesy of BBC) are emerging of the police bully boys abusing innocent protesters at the fracking camp protests yesterday. Whilst I personally think fracking is a good idea I abhor the way that a perfectly legitimate and peaceful protest is attacked by the police. What do they want to do, turn legitimate protest in England into something we only see in Northern Ireland where the protesters get geared up and give the bully boy police a real taste of their own medicine? They have used unnecessary violence with complete impunity (as usual) and their arrogance even extends to arresting Caroline Lucas a Member of Parliament – quite unbelievable. There will be violent reaction to this aggression for sure and unnecessarily caused by the police. Have they learned nothing from the Tottenham riot arising out of their violent abuse of Mark Duggan? – Apparently not. If the police treat others like this what is to stop them treating you like it too?